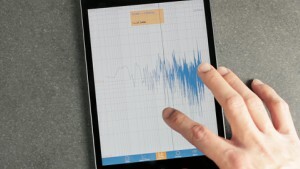 The original VibroChecker app from Ace Controls uses the acceleration sensors, gyroscopes and microphones integrated in the iPhone and iPad to measure vibrations on machines and components within a frequency range of up to 50 Hz. Upgrading to the new ‘PRO’ version of the app increases the range up to 8,000Hz. The user simply has to connect an external USB sensor (available from a 3rd party) to the iOS device via the lightning port and an adaptor. With a commitment to innovation and development for over 50 years, ACE Controls Inc. provides high quality industrial motion and vibration control technology with expanded distribution and supply networks. We offer a wide range of products including industrial and safety shock absorbers, hydraulic dampers, feed controls and gas springs. Based in Farmington Hills, MI, ACE’s reach expands to more than 120 stocking distributors in 45 countries.